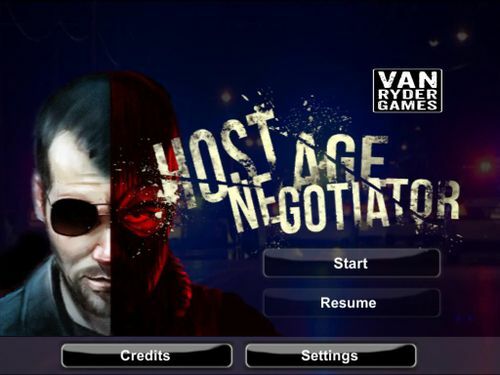 I've been hard at work on the official app for Hostage Negotiator for almost a year and it's beginning to look like it might be ready to go out into the world. I could use a few testers to take a look at it on their devices and let me know if it's working properly on their phones/tablets, and if yes, run a quick test scenario for me that should take about 1-2 hours over a few sessions. I would love to have people who have not played the boardgame and also people who would be able to try it on both a tablet and a phone. Send me a Geek Mail if interested in helping out. Just the opening screen. 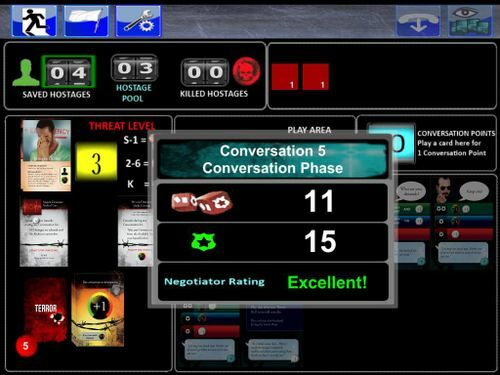 No real reason for me to post it except I love that dual negotiator/villain portrait. Two successes!!! Rescuing the hostages is what it's all about. 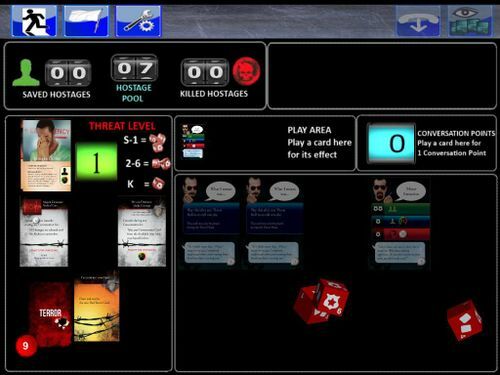 Boardgame Hostage Negotiators are notorious for blaming the dice for everything bad. And now you can do the same thing in the app. 3D dice will go flying through the air, bash against one another and agonizingly turn certain successes into failures. The app keeps track of your stats as you play, so you can see just how good/lucky (or not) you have been. Looks great! Is this for Android, iOS, or both? Android/iOS - tablet and phone. 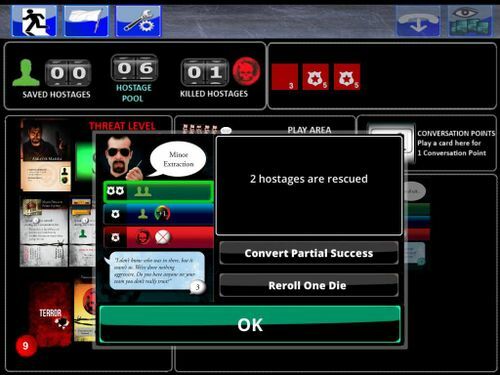 Hostage Negotiators need to be flexible. I have an older iPad...so old that it can not be updated to the latest version of ios. Will this app run on it? I'm pretty sure that the minimum for HN is iOS 8. Hopefully you'll be OK. Thanks. I've got 9.3.5 so I should be good. I've run across a couple of apps lately that require iOS 10. I have a tablet and phone (both Android). However, I have played the physical board game. Let me know if you are looking to expand the beta testing pool. I've played the game, but could help out testing. Nexus 6 would get most use, could also test on an iPad. Thanks for all the Geek Mails everyone. I think I have enough offers of help for now! I'll be setting things in motion tomorrow morning. If you don't hear from me right away, don't despair, you may still get "the call" in a little while. I'll be doing the testing in a few phases. I've not experienced any kind of trouble, in any form, on my android device. I might be late to the party but I have a note 4 and a note 8 that I would like to try it out on. Just wanted to say thank you to everyone who volunteered to help test the HN app. We had a very smooth and successful beta-test session and I'm happy to say that, after a year of development, the app should now be available in the App Store (iOS) and the Google Play store (Android).